Following several rumors, RadioShack announced on Tuesday that it has officially teamed up with Cricket to offer its own wireless services. The retailer will sell phones, accessories and plans in its U.S. stores beginning on Sept. 5. Two phones will be available at launch, including the Huawei Mercury Ice and the Huawei Pillar. The Mercury Ice will cost $149.99 without a contract and runs Android 2.3 Gingerbread. It’s equipped with a 1.4GHz processor, a 4-inch display and an 8-megapixel camera. It also comes with a Muve Music streaming service. The Huawei Pillar feature phone costs just $39.99 and is available with RadioShack’s cheapest $25 monthly plans. It offers a full QWERTY keyboard and a camera. RadioShack’s smartphone plans start out at $50 per month with unlimited data, but only 1GB is available at full speed before your download throughput it scaled back. A $60 per-month smartphone plan offers “unlimited data” also, but only 2.5GB of data is at full speed. The plans include unlimited text messaging, unlimited minutes and unlimited music through Muve Music. Two feature phone plans are also available, which also include unlimited text and web/data. They are available with 300 minutes and 1,000 minutes for $25 and $35 per month, respectively. FORT WORTH, Texas and SAN DIEGO, Sept. 4, 2012 /PRNewswire/ — RadioShack Corp. (NYSE: RSH), a leading mobile authority and national retailer of innovative technology products, services and accessories, and Cricket Communications, Inc., a leading provider of innovative and value-driven wireless services, and a wholly-owned subsidiary of Leap Wireless International, Inc. (NASDAQ: LEAP), announced today the launch of RadioShack No-Contract Wireless powered by Cricket. The line of no-contract phones will be available to mobile customers at RadioShack stores nationwide beginning tomorrow.This strategic collaboration represents a new choice in mobility and illustrates how both RadioShackand Cricket are dedicated to providing the right phones, the right features and the right plans to meet their consumers’ needs. It brings together the convenience and mobility expertise that RadioShack is known for, with the great value and best-in-class wireless services that Cricket delivers. With a choice of plans that feature nationwide coverage with no contracts, the new RadioShack No-Contract Wireless powered by Cricket gives consumers yet another option for staying connected wherever they go. The RadioShack No-Contract Wireless line-up will include some of the hottest smartphones on the market as well as a well-equipped feature phone, offering all the connectivity, productivity and entertainment consumers are looking for in a mobile device. Two phones – the Huawei Mercury Ice and the Huawei Pillar – are available in-store starting this week, with two additional phones expected to be available by the end of September. The Huawei Mercury Ice is available tomorrow and is exclusive to RadioShack for the next 30 days. At$149.99, it’s a serious multitasker with a fun side. The Android 2.3 phone is powered by a 1.4 GHz processor, and its scratch-resistant 4-inch FWVGA screen displays crystal clear pictures and videos shot with the 8MP camera or camcorder. With Muve Music® included in the $50 a month unlimited data plan, the phone delivers unlimited song downloads, ringtones and ringback tones. Value priced at $39.99 with service plans that start at only $25 a month, the Huawei Pillar is the ideal feature phone for consumers who find themselves texting to stay in touch. The Pillar is a compact device with a full QWERTY keyboard and mobile Web access to keep consumers connected while on the go. And with the phone’s built-in camera, consumers can snap and share pics of where they are and what they’re doing anytime. Available on all RadioShack No-Contract Wireless smartphones is Cricket’s Muve Music, the only music service designed specifically for mobile phones. Muve Music offers unlimited full song downloads from a catalog of millions of songs – all included in the wireless plan at no additional cost. The unique music service features fast downloads and high-quality audio for listening to your favorite music on your no-contract smartphone. RadioShack No-Contract Wireless smartphones are the only Muve Music phones that come bundled with an 8GB SanDisk memory card, allowing consumers to store up to 6,000 songs, as well as pictures and videos, on their device. 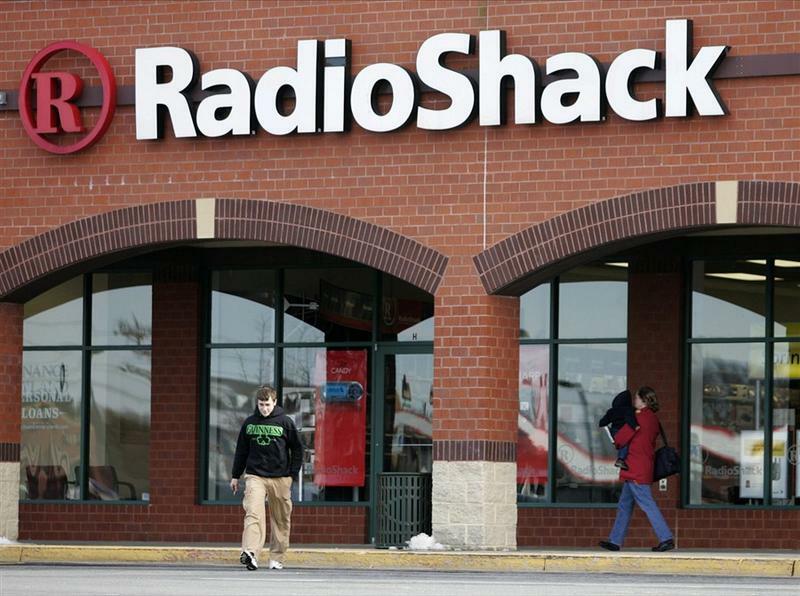 RadioShack No-Contract Wireless will offer a selection of service plans for its feature phone and smartphones, giving consumers options and choices on the phone and service plan that best meet their needs. Feature phone plans start at $25 a month for 300 minutes plus unlimited messaging and Web access. For customers looking to increase their voice minutes, the $35 a month service plan offers 1,000 minutes plus unlimited messaging and Web access. Smartphone plans start at $50 a month and include unlimited data (1GB at full-speed), unlimited minutes and domestic text messaging plus unlimited music with Muve Music. For users needing even more data flexibility, a second service plan offers unlimited data (2.5GB at full-speed), with unlimited minutes and international text messaging plus unlimited music with Muve Music, for $60 a month. 1 All monthly service plans include Voicemail and Caller ID. 2 Additional Calling Features include: Call Waiting and 3-way calling.